Bottled water has become a staple in our homes and offices. We expect it to be offered at restaurants and diners, fast food eateries and vending machines. When we go to the grocery store to do our weekly hunter-gathering of essentials and extras, a case of bottled water is usually on that retrieval list. If you are a subscriber to a bottled water company, it may be delivered to your home in a case or in a plastic jug for your 5-gallon water dispenser. Everyone will go through their personal water supply at their own pace and most of us do not want to run out of it. Heaven forbid we have to drink water from the tap. The majority of the world has access to clean tap water and people are usually only frown upon by the taste. However, the taste of selected brand of water is what matters most to people. If you choose your water based on the flavor and mouthfeel, tap water will more than likely not be your first choice to quench your thirst. The bottled water that is offered by Waiakea comes from the volcanic rock of the Mauna Loa volcano, absorbing palatable minerals as it travels. This water makes it to the aquifer in about thirty days, and the end results if a pure and pristine taste. It also has a higher content of silicone, which is what gives Waiakea water its ultra-smooth mouthfeel. If the water bottled at the Mauna Loa aquifer is only thirty days old on average, how long can it sit in your home and still retain that flavor? How long can it sit on the shelves at the grocery store? And how do I know if the water I stored from emergencies will be fine? The United States Department of Homeland Security issued their recommendation that all homes maintain a proper emergency supply kit, which includes at least one gallon of water per person for every three days. This amount of water will allow someone to have enough for lively essentials, such as drinking, cooking, and cleaning. Now that we know how much water it needed on hand for storage, how long will it last? Recommendations are to keep bottled water at room temperature or cooler. A cellar or even a pantry in an a temperature controlled home will do. Bottled water should not be stored in direct sunlight. It is possible for mold and even algae to develop if water is exposed to direct sunlight. This usually isn’t a problem for public safety, but if you store water, make sure to keep it somewhere cool and away from direct sunlight. Households more than likely store bottled water in the kitchen, garage, or cellar. 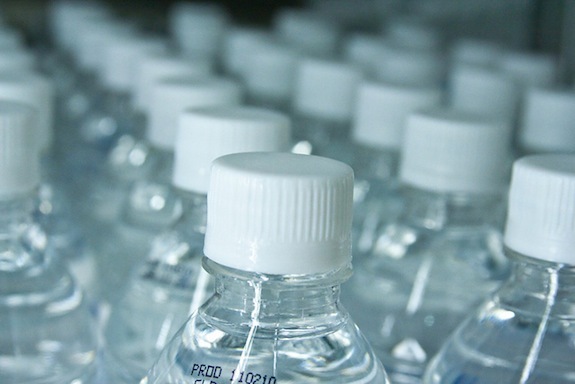 It should go without saying, but never keep bottled water near chemicals, such as cleaners, paint thinners, household cleaning supplies, gasoline, and lawn equipment. The companies that bottle water do so in plastic containers that are regulated by the Food and Drug Administration, FDA. They make sure that the water and plastic bottles are completely safe. However, plastic containers are slightly permeable. That means that gases, such as vapors from gaseous chemicals and petroleum-based liquids like gasoline can potentially be absorbed and affect the taste of your water. Keeping your cartons and jugs away from these types of products will ensure that your bottled water is clean, safe, and refreshing. The United States FDA has done extensive research on all aspects of bottle water, its ingredients, the plastics used in bottling, and the safety of the product as a whole. Along with regulations about the plastics and water, the FDA also governs the packaging process. It has determined that bottled water has no shelf life or limit. Therefore, you won’t find an expiration date on packaged water. Don’t fall into the trap of thinking that your bottled water is old or expired. If it has been stored in a temperature controlled environment away from direct sunlight and chemicals, then it is safe to drink. The bottling process is regulated and safe. Waiakea water has been awarded for its outstanding manufacturing practices by reducing the energy used during the bottling processing by 85 percent and reducing carbon emissions by over 90 percent. The RPET bottles they use are also 100 percent post-recycled and 98 percent of microplastics are eliminated. If you see an expiration date on your packaged water, it is likely there to help grocery stores and consumers with the management of stock and distribution, but there is no evidence of bottled water going bad, expiring, or losing its flavor. The FDA recommends preparing an emergency kit with a gallon of water per person for three days. 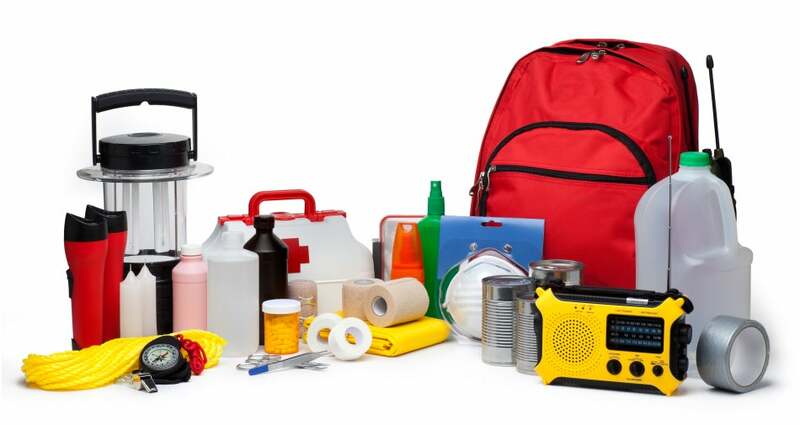 We think of these kits when it comes to natural disasters such as tornadoes, floods, hurricanes, blizzards, and earthquakes. When natural disasters happen, power outages are usually widespread and city water pumps and sanitation services may be affected. Without water services, people are unable to use the sink, toilets, shower, or obtain water from a filtration unit. Water supply issues can cascade rapidly. There is often an undercurrent of desperation and people lining up for clean water that is offered by disaster relief organizations. Parents of young children are often the first to feel the loss. Groceries go bad quickly without refrigeration, and infants can’t drink powdered formula without mixing it with water. Bottled water has become a life-saving resource for those caught in the wake of a hurricane, tornado, earthquake, or tsunami. The city water supply quickly becomes contaminated and cannot be pumped to those it serves. Because bottled water is packaged safely, does not expire, and is easy to transport, those who have been hit the hardest and who need water the most can benefit from federally-funded and charitable efforts to provide drinkable water where it’s needed. Its safety, portability, and essentials for living makes packaged water a clear choice for emergency kits and natural disaster relief programs. Want more on Waiakea? Read our last article here!